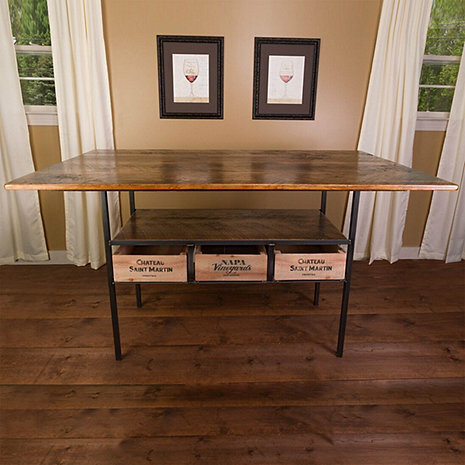 Constructed from hand worked steel and vintage wine crates the Vintage Farm Style Pub Table contains 3 slide out wine crates large enough to hold at least 10 standard Bordeaux bottles each. Solid wood table top is designed from distressed reclaimed wood with a weathered patina. Lower shelf is perfect for storage. Each table is hand-crafted and are unique. No two are alike.